The Associate in Arts (AA) and Associate in Science (AS) degrees at SCC are the only fully transferable degrees that can be your bridges to the university. With an AA or AS degree, you can easily transition to NC universities and most private colleges to achieve your professional dreams. 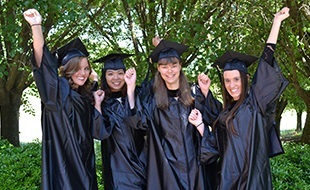 You can earn freshman and sophomore-level general education credits towards your bachelor's degree. 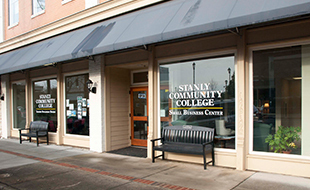 At SCC, you can take university-equivalent courses taught by qualified, caring faculty and save a lot of money! 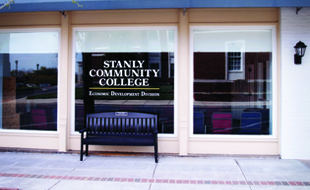 Additionally, class sizes are small and friendly; you won't be just a number at SCC. Classes are offered in seated (hybrid) and online formats, so you can fit a transfer degree into your busy schedule. Our success coaches and faculty care about you and are ready to help you achieve your academic and professional dreams. What is University Transfer and how does a transfer degree work? The transfer of credits between a NC community college or NC university to SCC is governed by a Comprehensive Articulation Agreement (CAA). If you believe the terms of the CAA have not been honored by SCC you may appeal our decision through the CAA Transfer Credit Appeal Procedure. Appendix E of the agreement (http://www.nccommunitycolleges.edu/sites/default/files/basic-pages/academic-programs/attachments/caa_tac_08.2016.pdf) discusses appeal procedures.